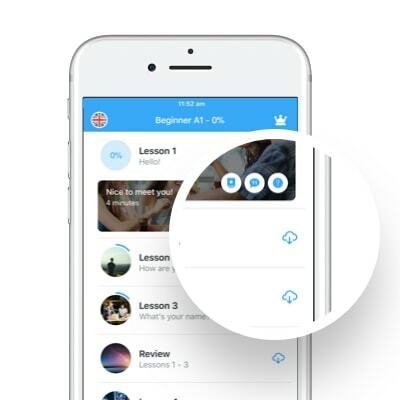 In response to a lot of feedback, we've given you the power to download your lessons to enjoy wherever and whenever you want, even without a connection! 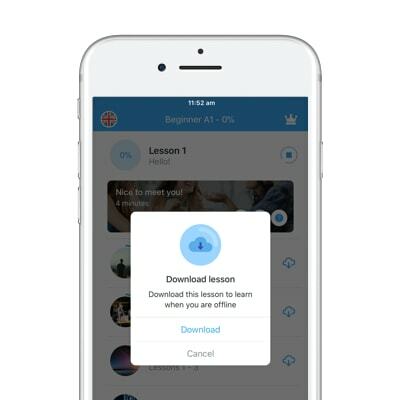 Offline mode is a Premium feature which is available in our iOS and Android apps - when you're connected via WIFI or 3G/4G, you can download the lessons you need by pressing the download icon. It means you can really practice anywhere, anytime, any place - whether that's during your morning commute, on your holidays or even on a plane! Have a look at the 3 simple steps for using Offline Mode and give it a try today. Step 1 - Download your lessons! Step 2 - Away you go! 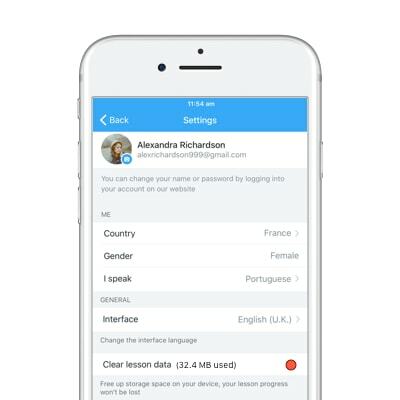 After going to the "Me" tab you can also "Clear lesson data" in order to free up space on your device if you're running low!